It is this corporate/statutory/contract legal (not lawful) system that must be exposed, defeated and abolished. And, don’t look to any attorney to help us. This legal nightmare was created by BAR attorneys and it is ‘they’ who profit from it . . . at our expense! 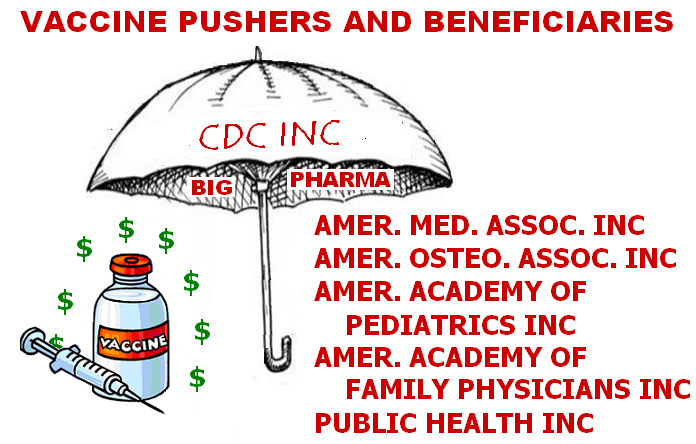 This entry was posted in corruption, vaccine and tagged Big Pharma, government corporation, statutes, vaccines. Bookmark the permalink. My daughter is 7 month and there are. Giving me a hard time of not vaccines her . I don’t know what to do I am Pennsylvania. We have just released a new guide. It should help you decide.